Asebe'ia Thunar is a dutree in the Kindome of Nirath, and is the only player controlled dutree (duchy) of the Great Forest. The citizens of Asebe'ia Thunar hail from a variety of nations, but use english as a lingua franca. Most of our citizens hail from the Scandinavian countries, Great Britain and the Low Countries. There are also czech/slovak and french sub-communities within the dutree. 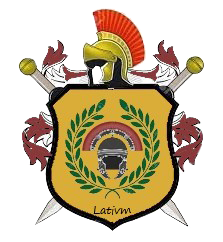 We are actively recruiting new members to our community, both citizens, mayors/barons (Keepers) and counts (Roots) are more than welcome to join us. We are also looking for ambitious players wanting to rise to power, either from citizen to Keeper or from Keeper to Root. The dutree will help, and fund, players who wish to overtake NPC domains if they are willing to submit to the laws of Asebe'ia Thunar. Shekinah of House Agaue and Thor of House Storm are the Thorns of Asebe'ia Thunar. On behalf of King Dragor, they have been appointed Wardens of the Forest, and have a duty beyond their own dutree. As Wardens of the Forest they are responsible for the well-being of all Kypiq and other nirathi inhabitants of the Great Forest. Being on the forest border, Asebe'ia Thunar will be a melting pot of tribes. Since times beyond Mann's memory, Neran citizens have played, and still do, a vital role in the history of the dutree. Strong Neran houses such as House Storm and House Mercator play influental roles in both politics and commerce. Not least have the Neran warriors played an invaluable role in the preservation of the dutree. Due to the strategical location of the dutree, and the trading routes going both north-south and east-west, Asebe'ia Thunar, is the home of several tribes in addition to the Kypiq and Neran. Especially Wenport, due to its role as a commercial hub in the area, is the home of many tribes making their fortune in the Great Forest. The main religion of Asebei’a Thunar is Faedin, although the Neran minority klings to their Virtori virtues. The Cult of Daemon’s Fire, however, is gaining traction within both Kypiq and Neran communities. To help the Thorns manage the dutree a Privy Council has been formed, consisting of advisors, councillors and branch leaders. Some with specific duties and areas of expertise, others are simply there to give advise as they do best. The size of the privy canopy is not set, and is ever changing depending on the current situation. Some positions are, however, more static than others. The Thunargemot is a representative and advisory body consisting of the Roots of the dutree. Leaders of major organisations and guilds may be given membership of the Thunargemot with a two thirds majority. Members of the Privy Council are also part of the Thunargemot, but may not vote on any matter. The Thunargemot may propose laws, taxes and regulations, but the decisions are alway made by the Thorns. Recognising that dutrees will consists of thousands of citizens, we depend on the Roots and leaders of major guilds and organisations to represent their people in a good and just manner. We are actively looking for ambitious and experienced players who wish to fill the roles as branch leaders, advisors and councillors. One of the prime duties of the Thorns is law enforcement, the defence of the dutree, and if needed, leading the dutree levies to war. The highest office after the Thorns is the Crown Marshal, and this person will be in charge of administrating the armed forces of the duchy. All suntrees will have at least one burtree funded by the dutree. The burtrees will be in charge of law enforcement in their local area, defending their turf and training troops. Keepers wishing to have a special focus on a single branch of the army such as cavalry, artillery/archery, Mokshins etc. are encouraged to do so, and may apply for extra funding. The Mokshins are the elite warriors of the Kypiq, and specialise in sabotage and incapacitation. They are trained in the dutree kaptal of Asebina. 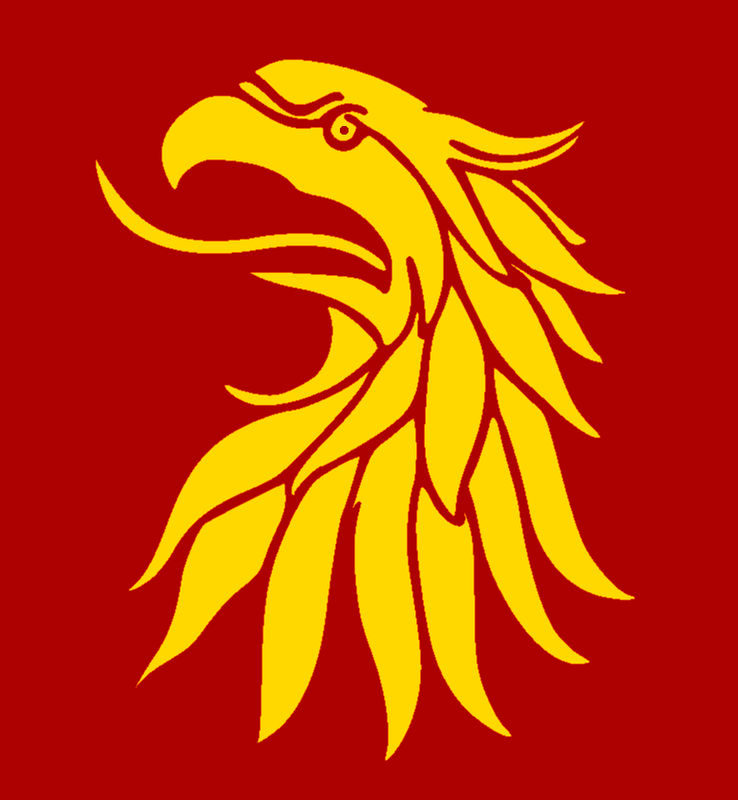 The Stormguard is an elite force of Neran warriors pledged to House Storm. 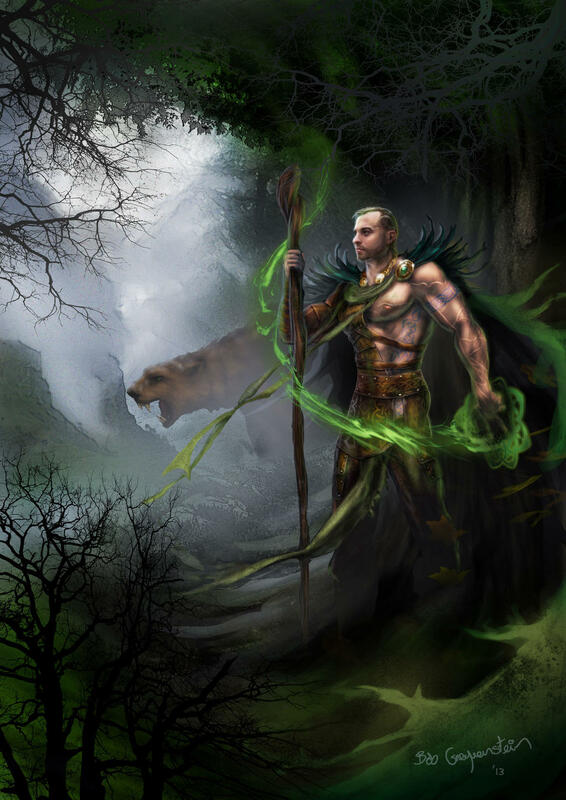 By combining the strength and size of the Neran with the Kypiq knowledge of the forest, the Stormguard is a terrifying foe to face in the Great forest. Their base is in Wenport. In Asebe'ia Thunar we want to create room for each and every one to find their own home, and opportunity to pursue their own goals and dreams. This does not mean there will be no taxes or laws, but it means we must find a good balance between creating the necessary framework, and not interfering too much. Good infrastructure is an important objective for a strong dutree. To encourage trade, and help people move quickly within the Great Forest, the Thorns of Asebe'ia Thunar have initiated a project dubbed "The Silk Road" building good roads through the entire Great Forest, and building capable ports handling the trade in and out of the dutree. Asebe'ia Thunar currently consists of 9 suntrees, encompassing the equivalent size of 12 ordinary suntrees. In these suntrees there are currently a total 19 tallements and 11 burtrees. A full census of the dutree can be found on the official Nirath census. Agauemore, located in the most fertile areas of the forest, is the home of the dutree kaptal of Asebina, and is the political centre of the dutree. Wenport, the commercial and educational centre of the dutree, is located in Thunormore down by the coast and is frequently known as the Neran counterpart to Asebina and Agauemore. Bordering Thunormore on the coast you'll find the duchies of Bohemia and Stormwald. The former known for its trading capabilities rivaling that of Wenport, and the latter known for its grand shipwrights supplying both Asebe'ia Thunar and Nirath with the best fleets on the western coast. Inland, you'll find Ascain bordering Thunormore, home of the reknown Mercators Inc. merchant guild. In the lush inland forest you'll also find Vash'agal and Wynegarden, both known for their produce and rich resources. In the more mountainous districts in the north, bordering the Demalion Empire you'll find the mining county of Skaaney and the more militaristicly focused Valimore. Wenport would be somewhere on the border with kingdom 2 or realy close to it? Great post. Asebe'ia is by far the best dutree on Selene! I'm not sure if I follow you DarthNox, but Wenport will hopefully be placed on the coast, either bordering Tyr Nansur in the east or the south-west duchy to the west. Since Neran would be in stormguard which is based in Wenport would Wenport be near places that Neran inhabit. Proud to be part of this beautiful Dutree! I'm a Brudvir. But I have to admit, that your forest is the most beautiful I ever stepped in. Warm lights and beautiful constructions beyond any expectations! I love the peaceful coexistence of Kypic and Neran. So my heart is light for my project at the border, where Kypics, Neran and Brudvir dwell. How upsetting would you be if someone else get that Kingdom before you? Any plan B.....? Plan B would be duchy J2 in kingdom 6. I got plans all the way to Z Thor, what it important is the community not the land for me. I was talking about you tbh. Go on give a free bump on my post too I am doing you a favour hear lol . The Dutree of Asebe'ia Thunar need more Kypiq!